For years, in-house lawyers sought a seat at the table as a true strategic partner to the business. Now that seat is available. But to earn it, lawyers have to run legal like a modern business. 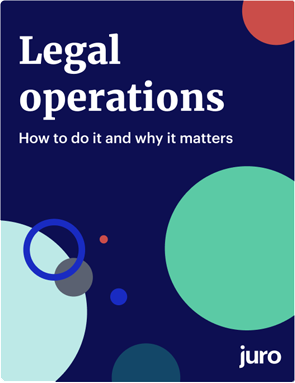 In this book, more than a dozen expert contributors show you how, by taking you through their practical experiences with legal operations at some of the world’s best companies. How can lawyers speak the same language as their finance colleagues, and win their trust with smart forecasting? Become a budget hero with better financial management. Learn how to become a sophisticated buyer of legal services: best-practice advice for finding, appointing, monitoring and managing external counsel. Make friends and influence people by aligning legal collaboratively with the most important functions in the business - because no lawyer is an island, and everyone needs friends. Hitting 350 employees and 850,000 customers inside three years doesn’t leave much time for legal tech procurement. Find out how Monzo engineered their legal function for growth. Service delivery and alternative support models: how satisfied is your internal client? 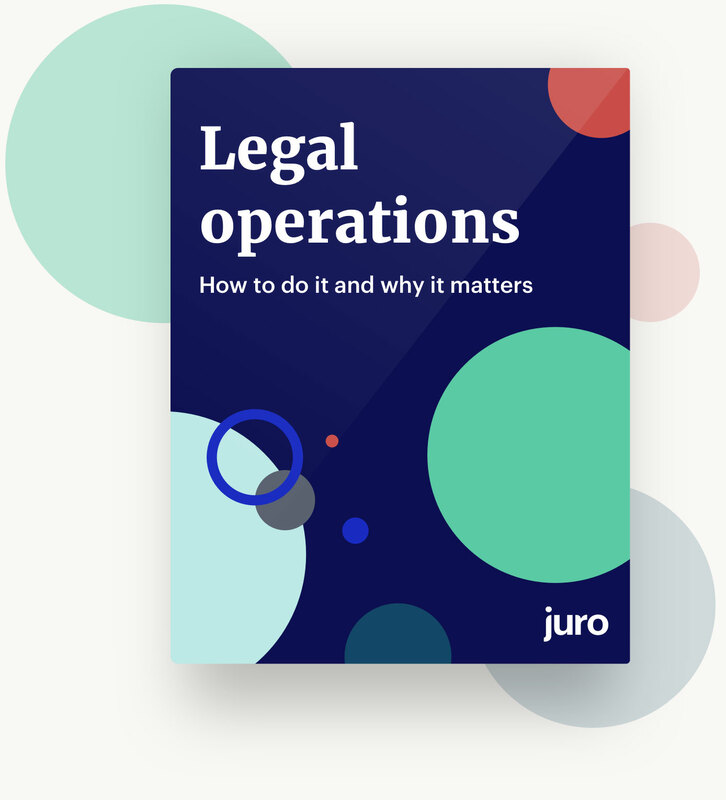 Find out how to map legal’s needs against its resources, and monitor internal client satisfaction, to deliver the best-in-class legal service your business wants - and expects. 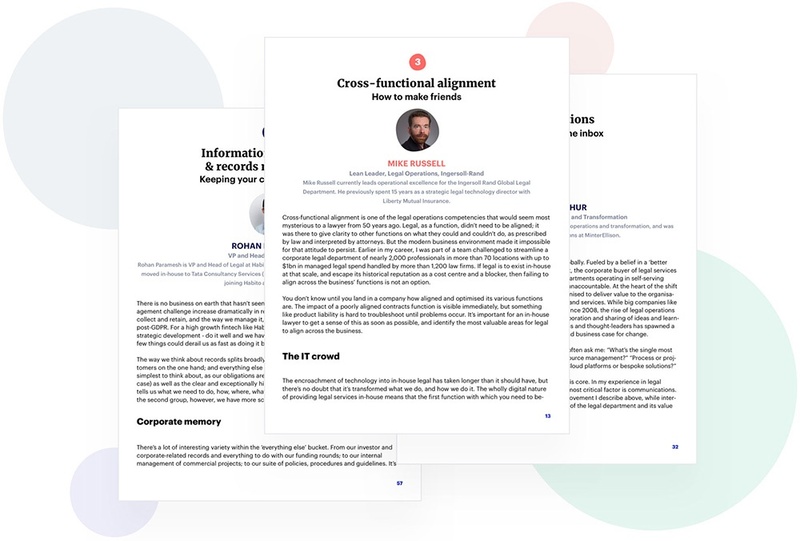 Find out how to manage a globalised team and maintain consistency as a business grows organically and acquisitively, in a legal industry that’s never been more complex. Breaking the habit of a lifetime and overcoming the inbox is a big ask for any lawyer. Find out how to rethink communications for the modern business - and keep stakeholders onside. Data, and its smart, tactical use, will be the foundation of the next generation of successful legal departments. Identify the crucial analytics to monitor - how, when, where and why. Electronic discovery has changed the game in litigation, but has it progressed far enough? Find out whether today’s tools are adequate for the emoji era. Few in-house practice areas can directly influence revenue more than IP, but how can you best realise that value in an in-house environment that demands more for less? How do you build an in-house knowledge management system from the ground up, and why should you? Read reflections from the front lines in the battle to preserve legal knowledge. Optimising your information governance can have an immediate upside for a company seeking to grow quickly and make better decisions - find out how to make it work for you. How do you deal with more-for-less as a long-term, strategic imperative? Learn lessons from a GC who did just that - and saved 40,000 hours of low-value work in a year.